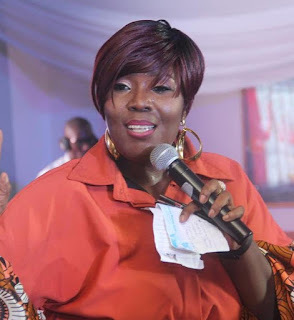 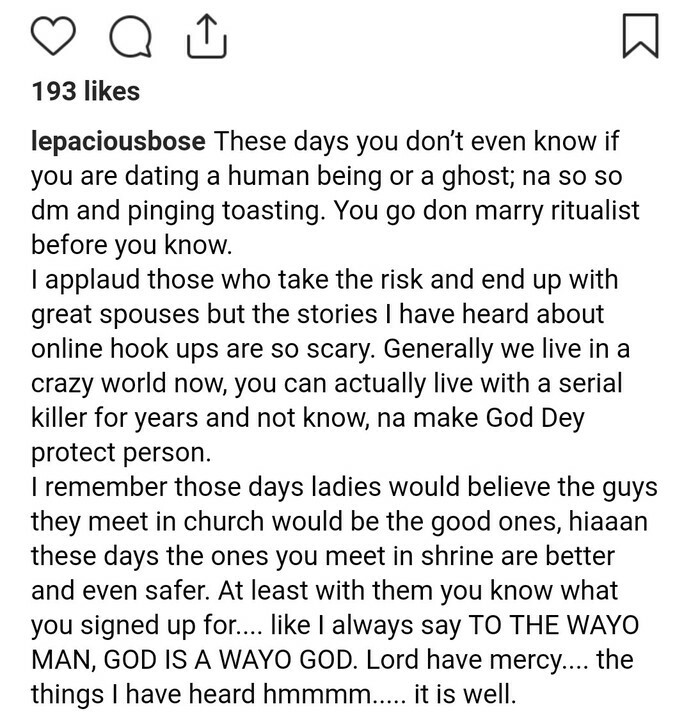 Comedienne Lepacious Bose has stated that guys in shrine are better and safer than Church guys when it comes to relationship these days. 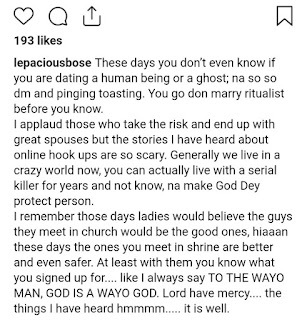 According to her, ladies who are in a relationship with a guy from a shrine already know what they signed up for, unlike the uncertainty that comes with church guys. 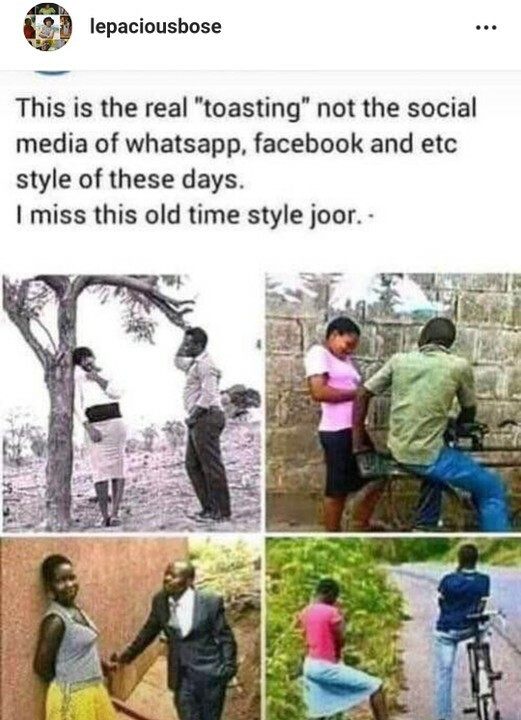 Lepacious Bose made this known on Instagram where she shared a picture which shows how lovers of old shoot their shot at each other, unlike how we have it now with social media.